Noorullah's plan against Salman failed. Noorullah's plan against Salman failed - Victory of Justice. Salman Khan’s acquittal by Bombay High Court in 2002 hit and run case is yet another victory of justice in India. With the verdict it has became cleared that Noorullah the man who died that night on pavement in front of American Bakery in Bandra, Mumbai was plotting against Salman Khan. 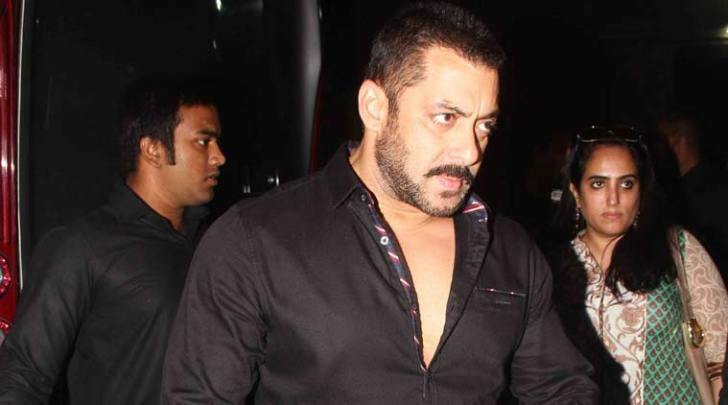 He hated Salman Khan for an incident from his childhood. Noorullah came to Mumbai in 90’s with a clear intention of maligning Salman’s image even if it cost him his life. He skipped his exam for Maine Pyaar Kiya Salman's first hit movie which became a worldwide hit. When he got failed in his exams his father scolded and beat him badly for his failure and stopped his school. He blamed Salman Khan for his miserable condition and pledged to take revenge. If Salman's would have released his movie on a different date he could have saved his precious year. He came to Mumbai and took a job in A1 bakery which was on the way of JW Marriot hotel and Salman’s home in Bandra. He knew one day Salman would come in his Land Cruiser and would ram it on the pavement when they were sleeping there. He convinced his friends to get injured, permanent handicapped for his plan's success. When Land Cruiser crushed him to death and injured four other people his plan became successful. He was such a shrewd man. This case raises suspicion on improper working of Bombay sessions court who took notice of all statements of witnesses including security constable Ravindra Patil. The law declares a missing man dead when he remain untraceable for seven years keeping this in mind dead man’s statement which in this case is the statement of Ravindra Patil becomes null and void after his death in 2008. Session court judge knowingly acted on each and every statement which shows his personal grudges for the star and closeness to victims. The session court’s judge’s role should be investigated by the government. Bombay High Court on the other hand took notice of inefficiency of lower court and acquitted Salman Khan. We can now hope speedy judgments in another high profile cases where victims by pretending their rapes, deaths and injuries are trying to demean a celebrity or public figure. Asaram Bapu, Indrani Mukherjee, Tarun Tejpal, Shiney Ahuja, Manu Sharma all have now hopes to come out clean. Today we must applaud efforts of Mumbai Police whose weak charge sheet against Salman Khan helped to uncover Noorullah’s plan. Bandra police did a shoddy job and botched up investigation. I feel it's a good judgement not to wash the accused of blame but the lack of concrete evidence.